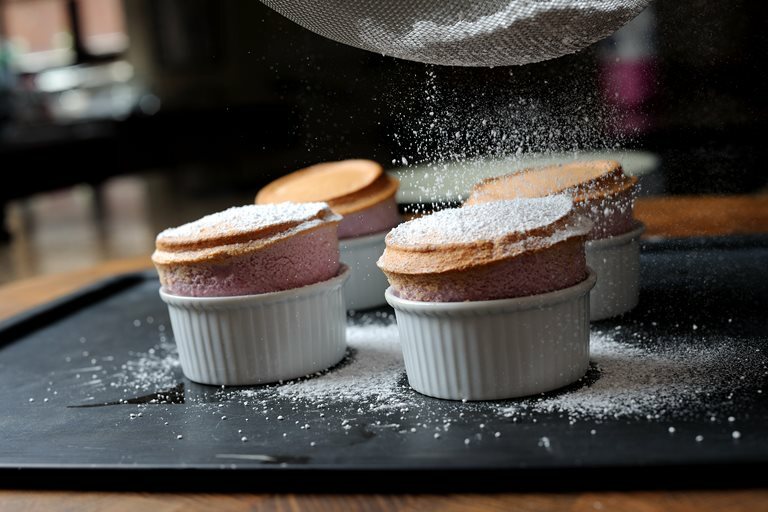 Chris Horridge's fruit soufflé recipe allows you to choose your favourite seasonal fruit, so it is a great recipe to have on hand throughout the year. This dessert is simple to make and is sure to impress dinner party guests. To make the soufflé base, place the fruit purée and 50g of the caster sugar into a saucepan and bring to a simmer.